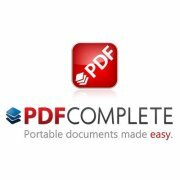 Computer is using PDF Complete and Adobe Acrobat reader version 8. I believe it needs both these programs in order to perform the functions of creating and viewing pdfs. I went ahead and uninstalled both programs and then installed PDF Complete. Tried opening and it did not work. Installed Adobe Reader 9 and then tried and it worked.